Enriched with natural aloe vera! This soothing gel with California aloe vera can be used to mildly moisturize various parts of the body such as the face, arms, legs, and hair. 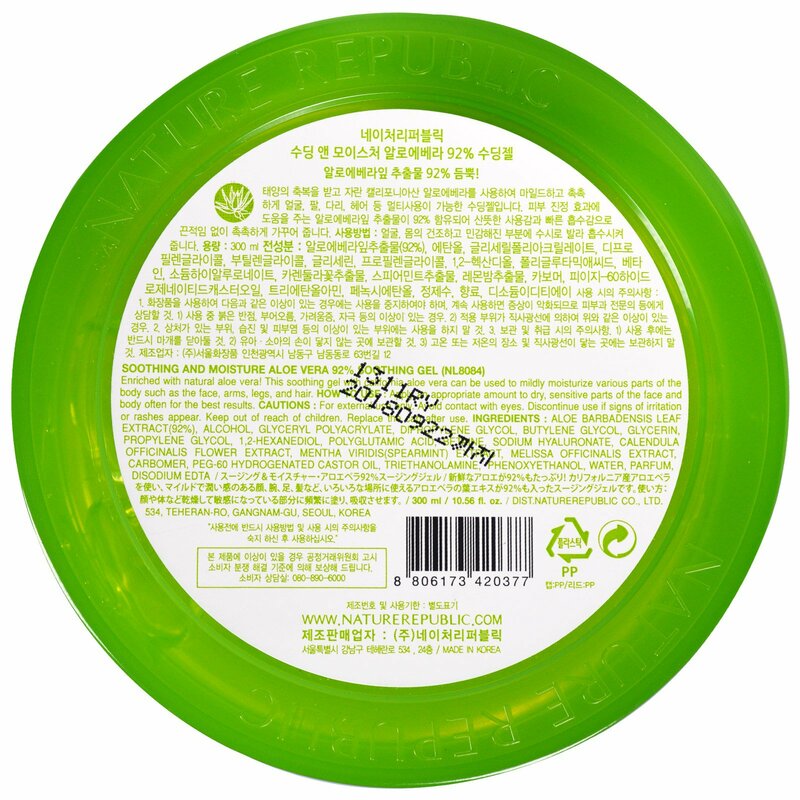 The Fast absorbing gel provides a refreshing feel to skin. Provides soothing and moisturizing effects to the sensitive skin. Keeps the surface of the face and body health. This soothing gel which contains California CCOF-certified organic Aloe Vera, is mild to the skin and can be used to moisturize the face, arms, legs and hair. 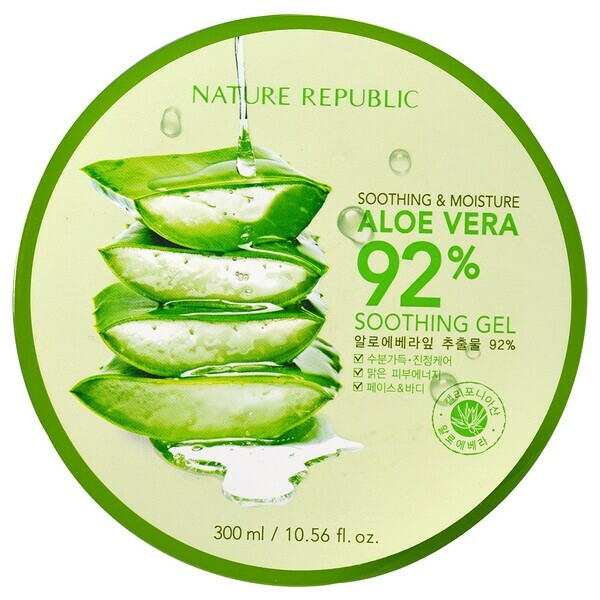 This soothing gel contains 92% Aloe Vera Extract, which moisturizes the skin quickly without leaving a sticky feeling behind. Can you tell me about the Aloe Vera extract? The vitamins from the Aloe Vera extract, such as vitamin E, C and other minerals , keep the skin moisturized and protect the skin from UV rays. The fresh Aloe Vera ingredient absorbs quickly into the skin without leaving any sticky residue behind. For external use only. Avoid contact with eyes. Discontinue use if signs of irritation or rashes appear. Keep out of the reach of children. Replace the can after use.